The big day looms upon us once more – evident by the Christmas songs that you started to hear before the Halloween decorations were even down. Nowadays, most traditional toys have been replaced from under the Christmas tree by video-games and tech, with Apple dominating the top gifts spot for the better part of a decade now. 30 years ago, we saw cellular phones making their way into consumer’s hands, but they were far from Christmas-list mainstay status. Those clunkers were losing out to more traditional toys back in 1988, with these classic toys that shaped many a happy childhood. Not what you might consider a traditional toy, the Nintendo Entertainment System (NES) was taking the world by storm back in the late 80’s; acting as a sign of Christmas’s to come. Video-games had taken their permanent place on Christmas lists, but not without great strife. Video-games existed long before Japanese playing-card manufacturer Nintendo decided to throw its hat into the ring, but gaming was going through a huge decline in popularity due to the oversaturation of games consoles and a lack of quality control. Arcades were empty, consumers were jaded and video-games in general were beginning to be perceived as a trend on its way out. 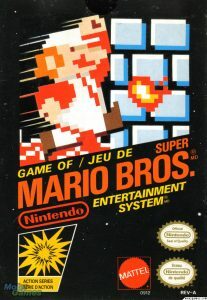 Nintendo changed all of that and took video-gaming out of the dark recesses or obscurity; launching it into the public eye with ground-breaking 8-bit games such as Super Mario Bros, The Legend of Zelda, Metroid and countless others. Their influence on video-gaming today cannot be over-stated. Even today their games and consoles sell hundreds of millions of units worldwide and retain a loyal fanbase who’s very first gaming experience came from their NES console. These tiny hot-rods were first invented in 1987, but it wasn’t until the following Christmas that their popularity first exploded. 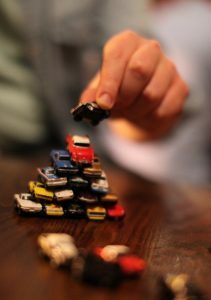 Simple in concept, Micro Machines featured a range of real-life car brands and fictional ones as well. There were cars, boats, motorcycles, monster trucks, emergency vehicles and tons more; all roughly 2-inches in length. The size made them easy for kids to carry around with them and the sheer amount of choice available made them a collectors nightmare. They’re especially Christmassy if you remember how Kevin McCallister used Micro Machines as a trap in Home Alone to trip up the burglars. If you don’t remember the toys, you definitely remember the adverts for them; featuring the fast-talking John Moschitta Jr. His lightning quick pitch for Micro Machines caught the attention of millions worldwide and contributed greatly to the success of the mini automobiles. He once held the Guinness World Record for world’s fastest talker. 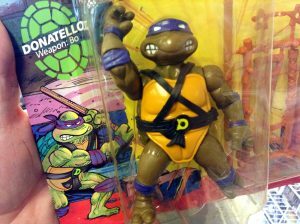 Gaining roots back in the mid-80s with a cult comic book series, it would be a few years before the heroes in a half-shell would get their own line of action figures. Leonardo, Donatello, Michelangelo and Raphael were on everyone’s Christmas lists in 88’ and remained there for years to come. Although Teenage Mutant Ninja Turtles would go on to become one of the biggest phenomena of the late-eighties and early-nineties, toy companies were initially reluctant to give them a chance. Many toy companies were approached with the offer of produced TMNT toys, but many were not interested. Finally, Playmate toys took on the challenge and spun the turtles into one of the hottest action figures of the era. Even today the newer versions of the turtles are still selling action figures worldwide and can still be seen underneath the Christmas tree. What were you waiting for Santa to bring back in the 80s? Let us know down below in the comments!